Vibrant digital illustrations, reminiscent at times of watercolors, show many different birds—birds of all shapes, sizes, and colors, compared in their natural habitats and in flight...Birds are presented as metaphor and inspiration as well as physical beings; the last spread show the young protagonist riding on a goose, high up in the sky, surrounded by different birds. "They make our imaginations soar." Line drawings in blue and black highlight some special feathers on the white endpapers of this beautiful picture book...Let your heart soar with the music and freedom of your imagination, as the birds do. 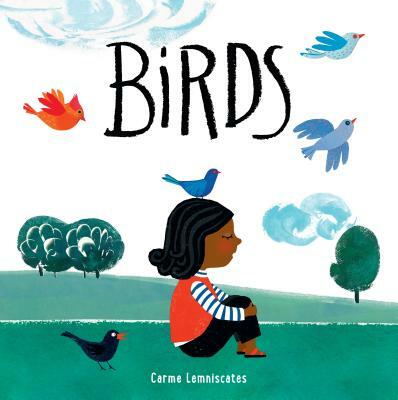 This introduction will inspire young readers to open their ears and eyes to the beauty and diversity of birds...Even the youngest audience will appreciate this celebration of our fine feathered friends.